We are Manufacturer & Exporters of Carbon Steel ASTM A106 Grade A Seamless Pipe, Carbon A106 ERW Tube, Carbon Steel A106 Grade B Welded Pipe Supplier in India. 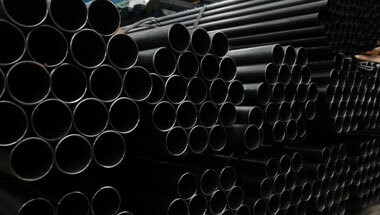 We Neon Alloys, excel in manufacturer & export a wide array of carbon steel pipes & tubes ASTM A106 Gr. A/B/C. This ASTM A106 is standard specification for seamless Carbon Steel Pipe & Tubes for high-temperature service. This ASTM A106 Pipes & A106 Tubes suitable for Bending, Flanging and similar Forming Operations. Carbon steel is used in the most critical engineering applications and also in certain applications in the automotive sector. We export ASTM A 106 GR.A/B/C Carbon Steel Pipes and Tubes such as Carbon steel Seamless pipes / ERW tubes/ Welded pipes & tubes / Fabricated pipes & tubes in the form of Round, Square, Rectangular, Hydraulic etc. We manufacture & export these products using the modern machines and investigate the quality of the products before they are supplied to our clients to ensure that we are providing the high grade products to our clients. ASTM A106 ERW Pipes, A106 Gr A Carbon Seamless Tubes, Carbon A106 Gr C Welded Pipes, A106 ERW Pipe, ASTM A106 Gr B Seamless Carbon Pipes Manufacturer in India.